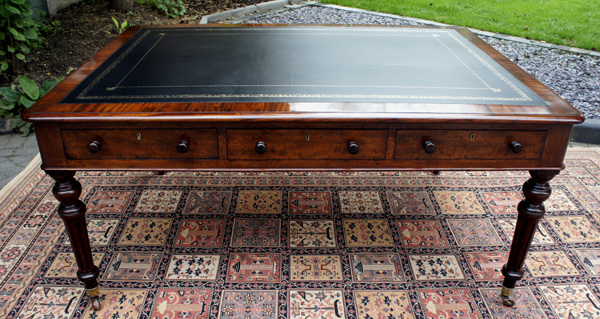 This is a beautifully proportioned antique partners library or writing table or desk in good restored condition made from top quality timbers. It has a well figured cross-banded mahogany top with rounded corners surrounding a black hide writing surface with gilt and blind tooling. 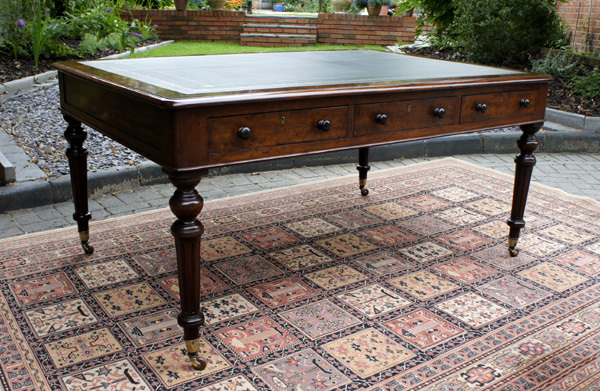 This antique desk is fitted with six drawers; three to either side of the width. in good restored condition made from top quality timbers. surrounding a black hide writing surface with gilt and blind tooling. 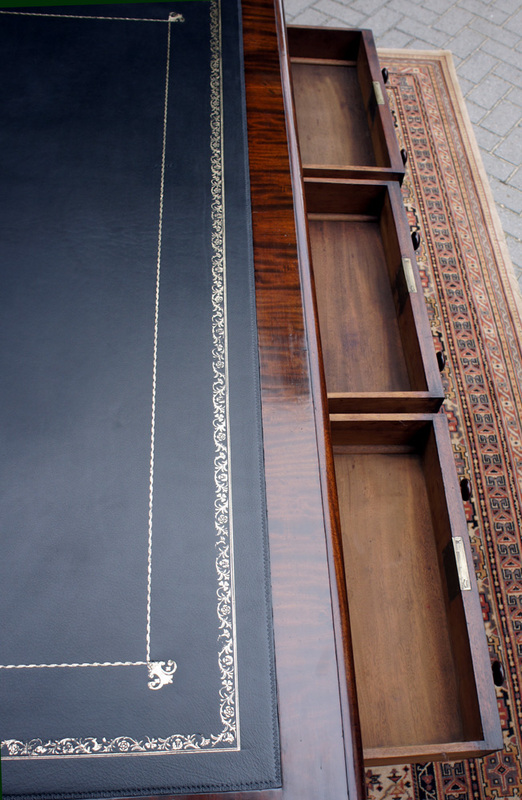 The drawers are mahogany lined with hand cut dovetail joints, original brass locks and turned wooden knobs. 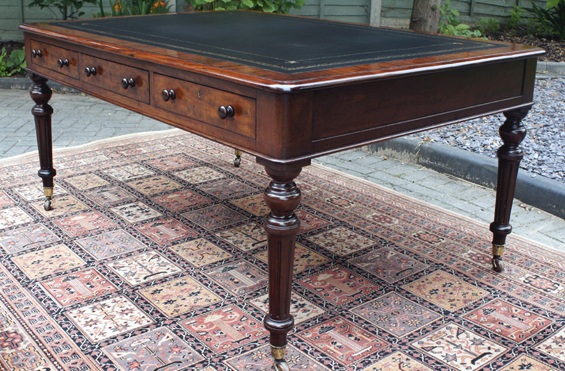 The table stands on four well turned and fluted legs terminating in the original brass and brown ceramic castors. 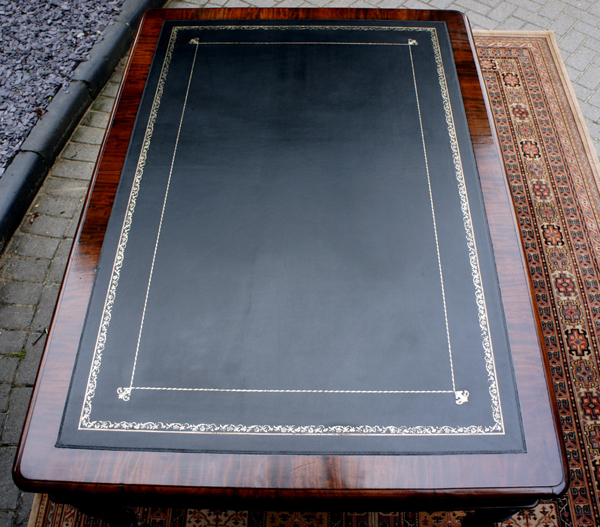 Having recently benefitted from professional restoration the table is in lovely antique condition. 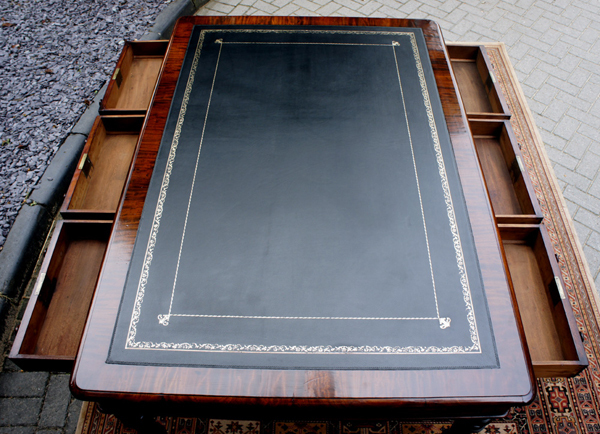 very good large antique desks, conference tables or library tables in an office, home study or library.